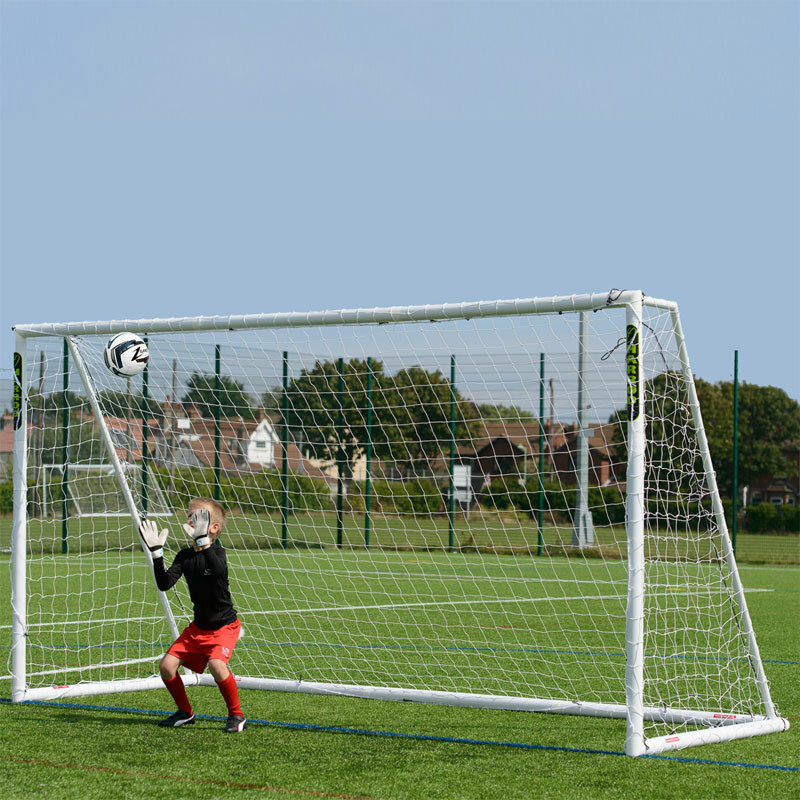 This new 12' x 6' Football goal post and improved freestanding Harrod Sport ® 7 v 7 Football Polygoal 12ft x 6ft is lightweight and can be easily assembled and dismantled. 1 x Freestanding PVC Goal Post 12ft x 6ft. Manufactured from 68mm diameter heavy duty white PVC. Complete with a 2.5mm net, 2 x 'U' peg anchors, net retaining clips and carry bag. Joins together with heavy duty PVC button clips to ensure stability. Bag is complete with central carry straps, when packed the bag measures 150 x 31 x 32cm. 3.66m x 1.83m. (12ft x 6ft) - 17kg per goal. Instructions good for goal assembly, however the instruction page did not cover how to assemble the net . Overall very pleased and would buy again. Brilliant goal set up - good dimensions, good quality and robust enough to take some strong shots on the posts without a murmur. Also Newitts were very prompt in providing a replacement net where a very small defect in the netting resulted in an early tear - hasn't affected the rest of it. Very happy with the product and the kids certainly reckon it looks the business!